This menu call "khao pad tom yum" ข้าวผัดต้มยำ. 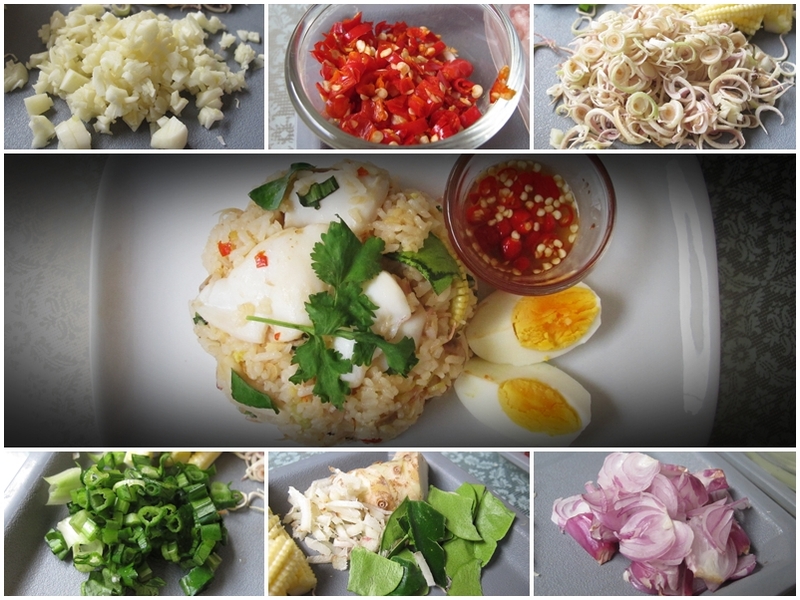 It has adapted from Tom yum soup to fried rice, really easy to make and tasty, come with herbs and spicy. 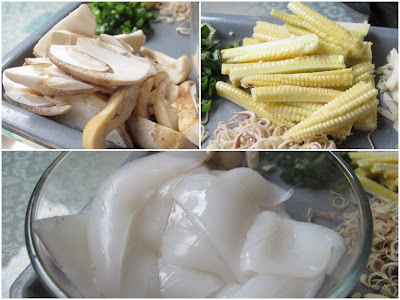 So today I like to add baby corn and some straw mushroom, but you can add any kind of veggies you like and easy to find in your market. I chopped all herbs really fine to let us can eat them and give more flavor. If you don't like can add it in big chunk and scoop them out at the end. You can use any kind of meat and vegetable you like. wow judging on the ingredients you used this dish is very authentic. i don't like "tom yum" fried rice sold at other restaurants because they used premixed seasoning. as for the seasoning, i usually used nam prik pao and fish sauce only, or sometimes with lime juice as well.